Tennis is one of the world's most widely-played sports,enjoyed by players of all ages.It is also a popular spectator sport,with star players in glamorous tournaments watched on TV by millions of fans all over the world.Women's matches attract as much interest as the men's,and tennis is one of the few professional sports in which women can earn as much prize money as men.Singles matches are played between two players and doubles matches are between two teams of two players.Each player uses a racket(also spelled racquet)to hit a felt-covered ball over a net into their opponent's side of a court.A player wins a point when his or her opponent cannot return a shot,or the opponent's shot doesn't land in the court. 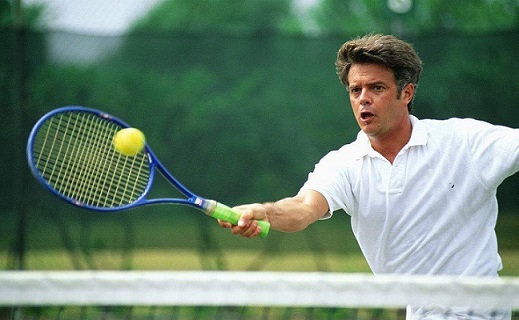 The modern form of tennis first appeared in the 19th century,but earlier forms of the game had been played in Europe for centuries.The most well-known was real tennis(or royal tennis),which had been popular with royal families and the rich since the thirteenth century.In 1571,French King Charles IX gave permission for the'Corporation of Tennis Professionals',a type of'pro tour',to be started,which shows how popular real tennis had become.The game became less popular around the time of the French Revolution,however,because of its links with royalty and the'ruling classes'that people blamed for social injustices.In England in 1873,Major Walter Clopton Wingfield revived interest in the game by simplifying the rules and designing new courts that were easier and cheaper to build.He called his new version of the game'lawn tennis'and kept most of the old scoring system,and many of the original French words used in real tennis,such as love and deuce. 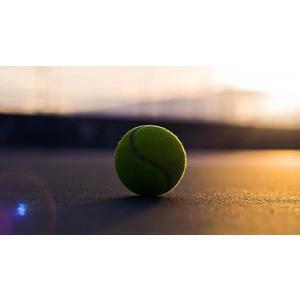 Tennis is played on a rectangular court,usually with a grass,clay,or hard court surface.The court is 78 feet(23.77 m)long and 27 feet(8.23 m)wide for singles matches and 36 feet(10.97 m)wide for doubles matches.The net is 3 feet 6 inches(1.07 m)high at the outer posts and 3 feet(.914 m)high in the middle.Lines divide the court into different areas,including four'service boxes'in the centre of the court,in which serves must land.Before a match begins,one player is designated server in the first game,and play begins with this player serving the ball from one side of the back of the court into the service box diagonally opposite.If the serve is good,the receiver must hit it back into the server's side of the court.Play continues until one player cannot return a shot,or hits a shot out of the court,and loses the point.The server then serves again,and play continues until one player scores enough points to win the first game.Then the second game begins with the player who received in the first game now serving.Play continues until a player wins the first'set'by being the first to win at least six games.Then the second set begins,and play continues until a player has won enough sets to win the match.In a'best of three'match,the winner is the first to win two sets,and in a'best of five'match,the winner is the first to win three sets. 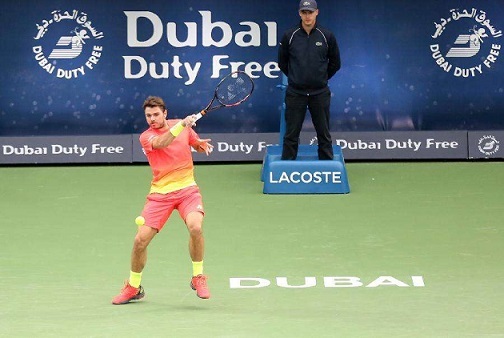 Professional players learn to use many different shots,including the serve,forehand,backhand,volley,half-volley,overhead smash,drop shot,and lob.They also learn how to put spin on their shots to make them more difficult to return,and learn how to use tactics to win,such as by playing to their opponent's weaknesses. 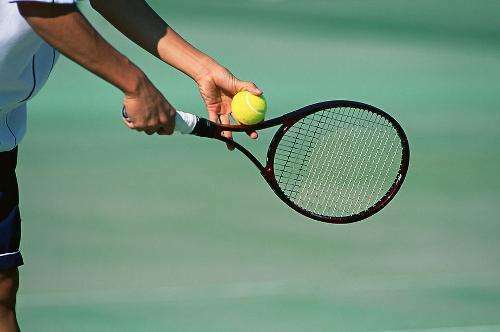 Every year hundreds of tournaments are held for professional players.The biggest of these are the Grand Slam tournaments;the Australian Open,the French Open,The Championships at Wimbledon in England,and the US Open.The greatest challenge in tennis is to win all four Grand Slam tournaments in one year.In men's singles this has only ever been done by two players;Don Budge(1938)and Rod Laver(1962 and 1969).In women's singles it has been done by only three players;Maureen Connolly(1953),Margaret Smith Court(1970),and Steffi Graf(1988). 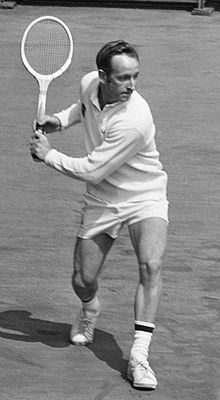 Born in 1938 in Rockhampton,Australia,Rod Laver is said by many tennis historians to be the greatest player of all time.He is the only player to have won the men's singles Grand Slam two times.At 1.72 metres,Rod Laver was not as tall as many of today's players,but he had a strong arm and his shots were powerful.He was very fast around the court,and very accurate with his play.He was also a very clever player,and often won matches by outwitting his opponents tactically. 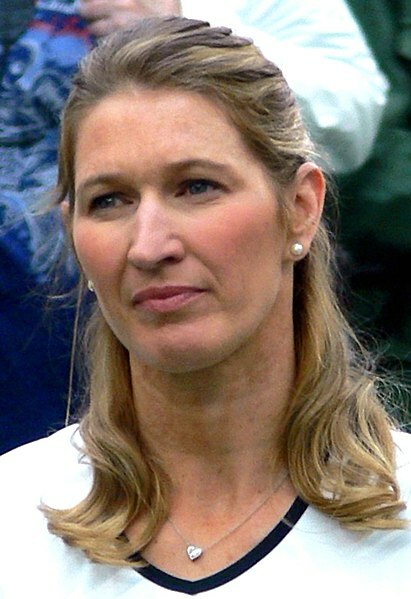 Steffi Graf was born in Mannheim,Germany in 1969,and is one of the greatest female tennis players of all time.She won 107 singles titles,including 22 Grand Slam singles titles.In 1988,Graf became the only player to have ever achieved a'Golden Slam'by winning the Olympic gold medal in singles as well as all four Grand Slam singles titles that year.No other man or woman has ever done this.She also holds the record for the total number of weeks she was rated as the number one player in the world at 377 weeks.She is also the only player to have won all four Grand Slam singles tournaments at least four times each.Steffi married Andre Agassi,the former world number one in men's tennis.